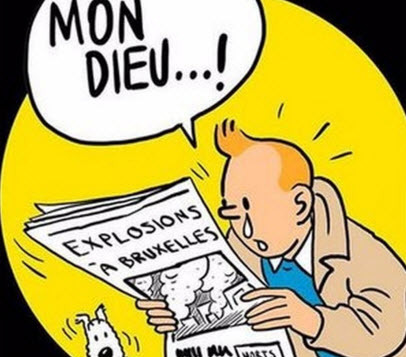 The mass murder and carnage that took place today in Brussels has led to a measured response from the public and from others on social media. The sheer brutality of the killing has led to a response that has talked of communities ‘coming together’ against the extremists and terrorists. This is the right and proportionate response. We talk much of the values of Europe and European communities. No-one can feel the pain of those families who have instantaneously lost loved ones this morning. Their pain and their memories may last a lifetime. At this time, we stand with them when they try and come to terms with what has happened. Today in Europe, we face the threat of indiscriminate terrorism which targets public places where people gather. What many of the perpetrators look for is death and carnage, in their minds, safe in the knowledge that they have undertaken their instructions from cell leaders or even directly from Daesh or IS rhetoric. Where possible, these individuals should be captured alive as Belgian police did with Salah Abdeslam. No doubt, by interrogating these individuals and by putting them on trial, their aim of being lionised as people ‘who attacked the West’, can be be eroded and a picture shown to the public of their broken lives and their twisted narratives. Yet, we should also ensure that reactions to the murders today do not stray into marginalising Muslim communities as a whole. Muslim communities are a solution to tackling the influences of groups like Daesh and IS. By marginalising them through press headlines, anti-Muslim hatred and bigotry and prejudice, we risk handing Daesh publicity and potential recruits which they could not have been able to access. We must therefore ensure that we include Muslim communities in the long term struggle against the rhetoric of Daesh and IS, as well as other groups who seek to drive a wedge between Europe, the Middle East and North Africa. If anything, the values that we hold dear of pluralism, tolerance and the rule of law have real relevance at this time as we pursue peace through reducing the scourge of terrorism.